I thought i'd try and incorporate at least 1 makeup related post into Blogmas, and i thought what's better than a Favourite Winter Lipsticks post! 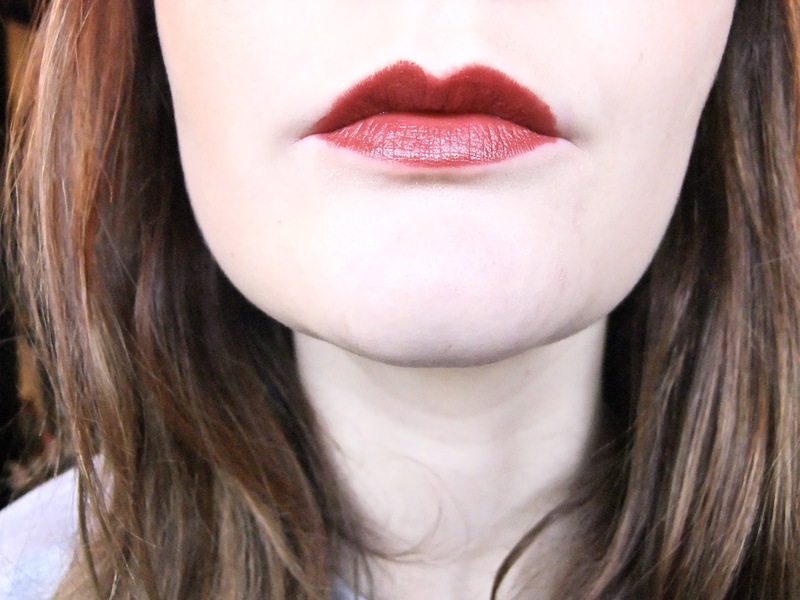 Below there is 5 of my favourite lipsticks to wear at this time of year. I'm swayed towards a deep purple colour but there are some red tones in this post as well. 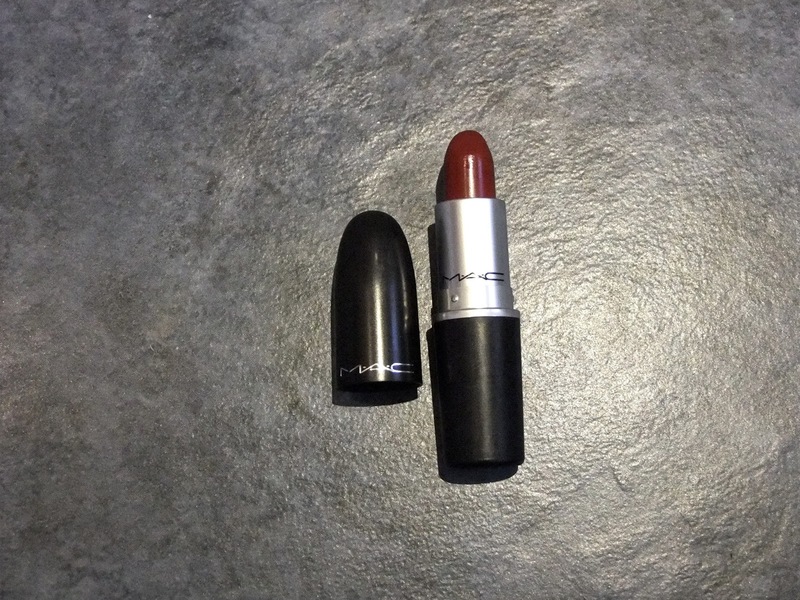 This lipstick from MAC is a lovely deep red colour. I really love the colour of this lipstick, as a bold red lip is something i don't wear, but i think this deep shade is gorgeous. 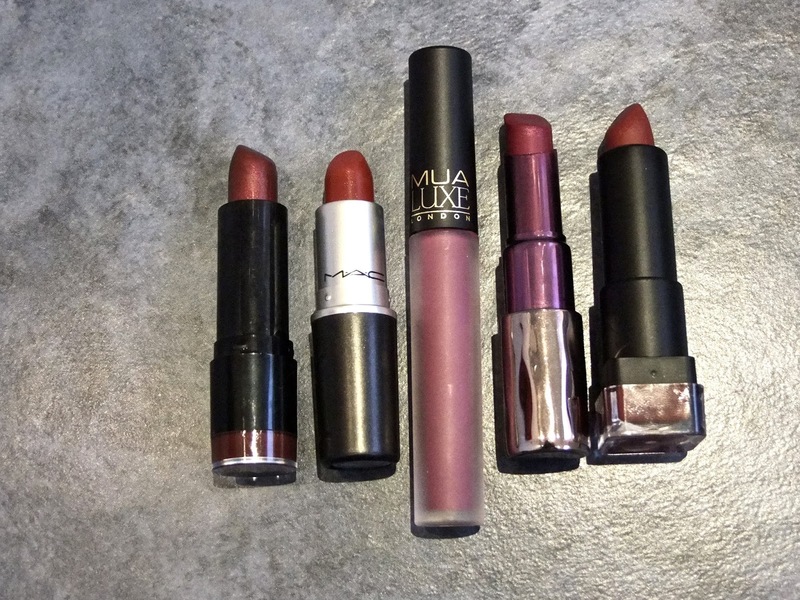 I'm sure everyone already knows about the quality of MAC lipsticks, but if you don't, they are about £15 per bullet, and are really creamy when applying. 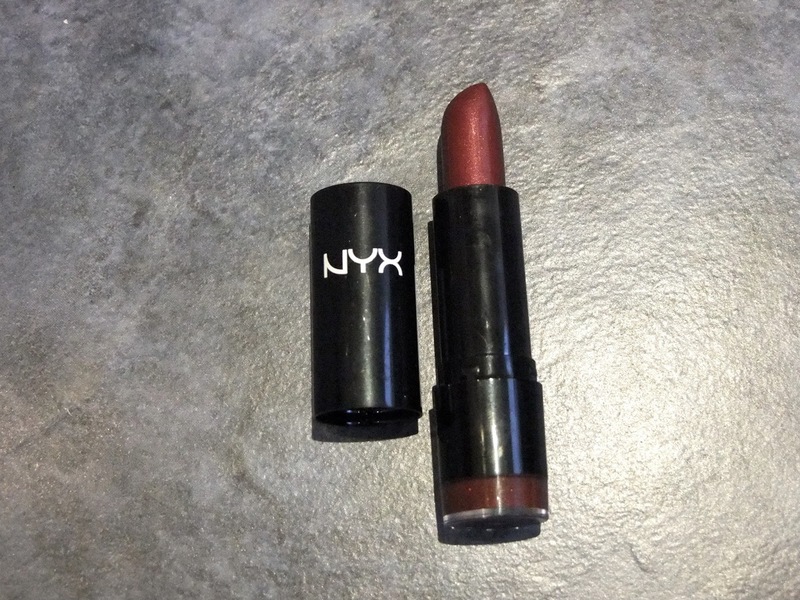 Recently Boots have started stocking NYX makeup and i had to get my hands on one of their lipsticks after hearing such good reviews! This lipstick is probably my favourite out of the ones i own at the moment, the formula is so creamy and the lipstick is so pigmented. 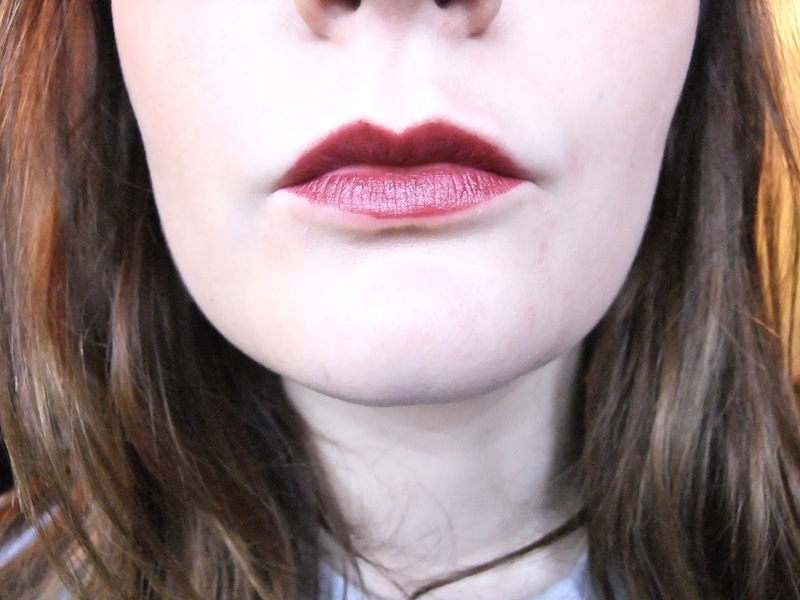 Considering this lipstick was only £4, i was majorly impressed with the quality. This colour is a purpley-brown. 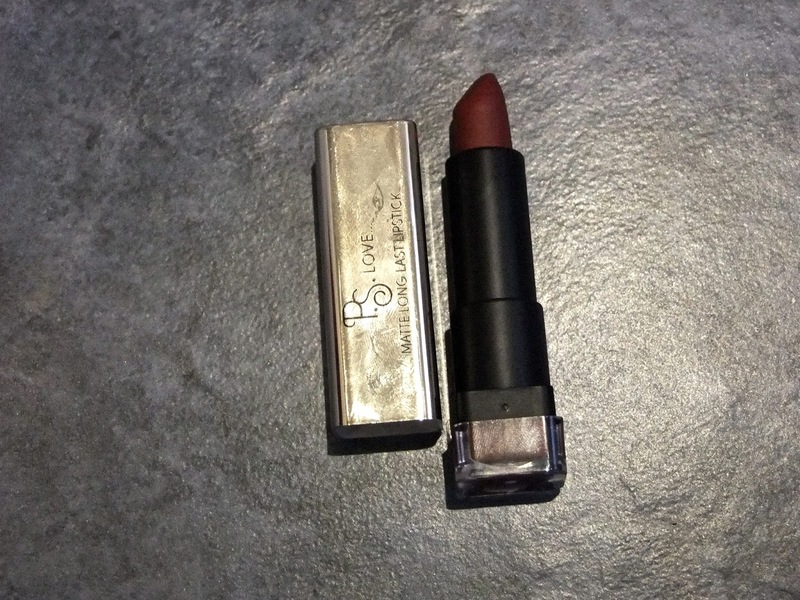 This was my first high-end lipstick! This is a very lovely deep purple (the photo makes it look brighter for some reason) and is a perfect colour to wear in the evening. 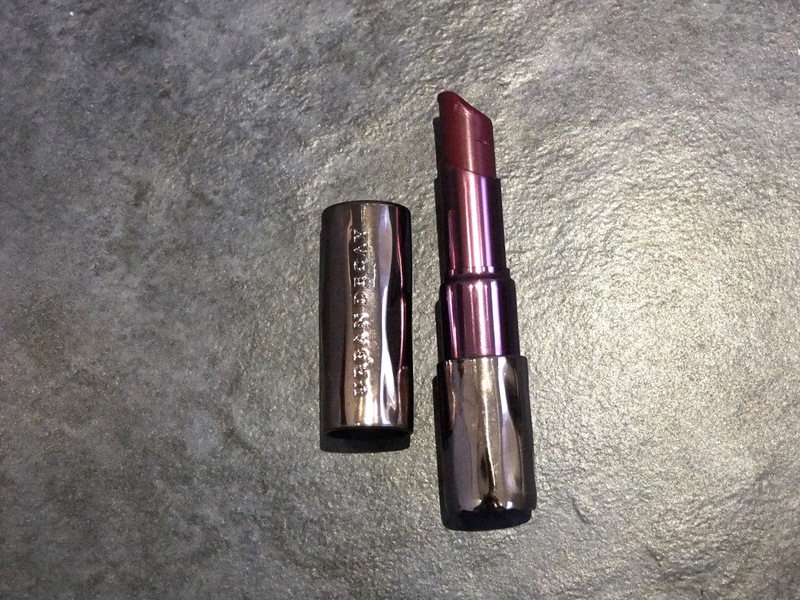 The Urban Decay lipstick formula is not my favourite, i find it quite drying, but on the plus side, the lipstick is very long lasting! This lipstick was about £1 and was from the one and only Primark. I actually really love the lipsticks at Primark, i find them really creamy and they're surprisingly pigmented considering they are probably the cheapest lipsticks on the market. 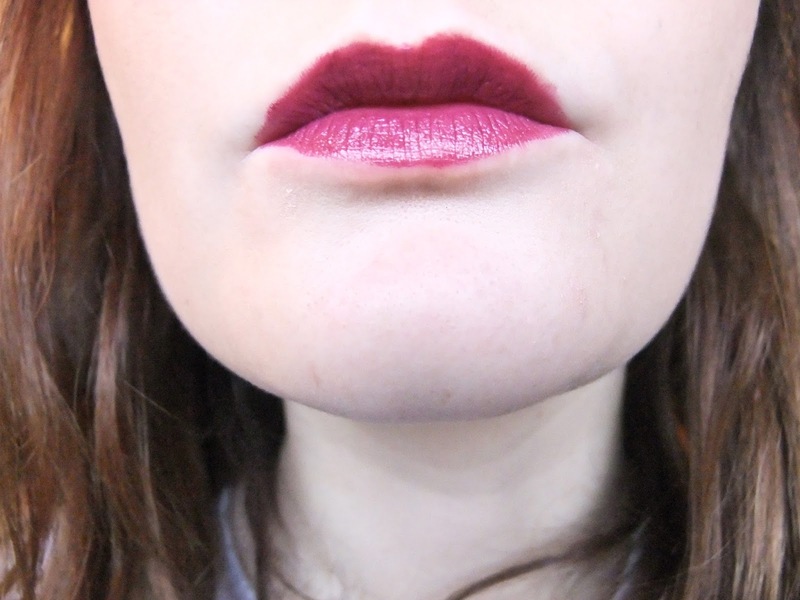 This lipstick is a reddy purple colour and i think it is a great everyday colour. 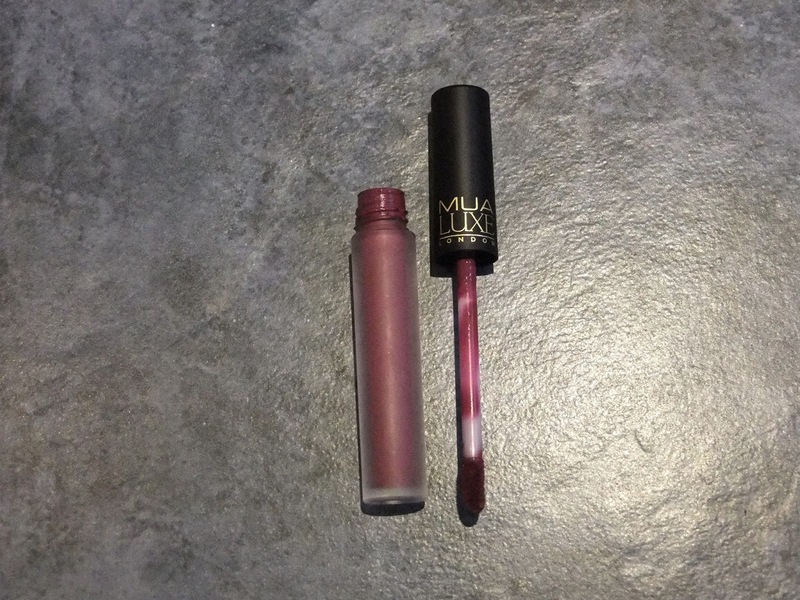 This lip lacquer from MUA is about £3. 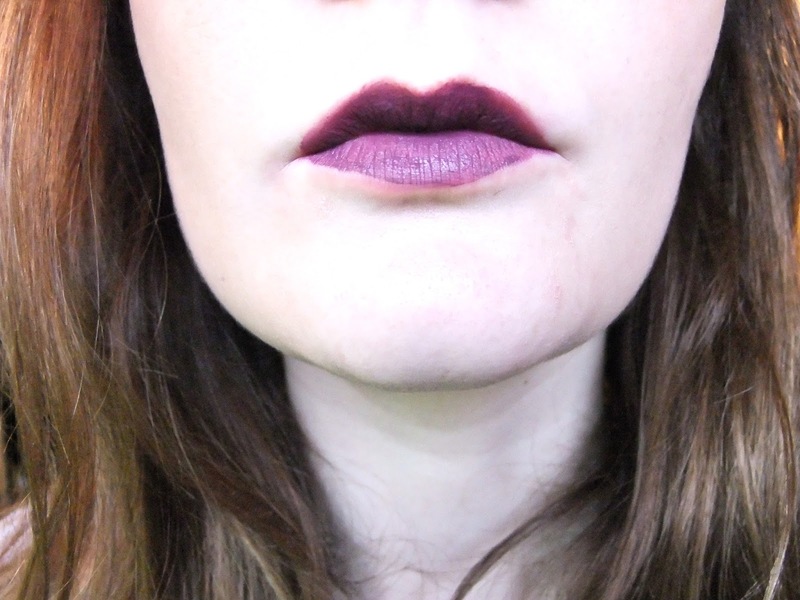 The colour is a stunning dark purple that actually looks a bit wacky. The liquid is applied with a doffer applicator and goes on to the lips really nicely. I find this product great when first applying it, but after it's been on the lips for a couple of minutes, i think it is quite drying, and if you have dry lips anyways you won't work with this product. 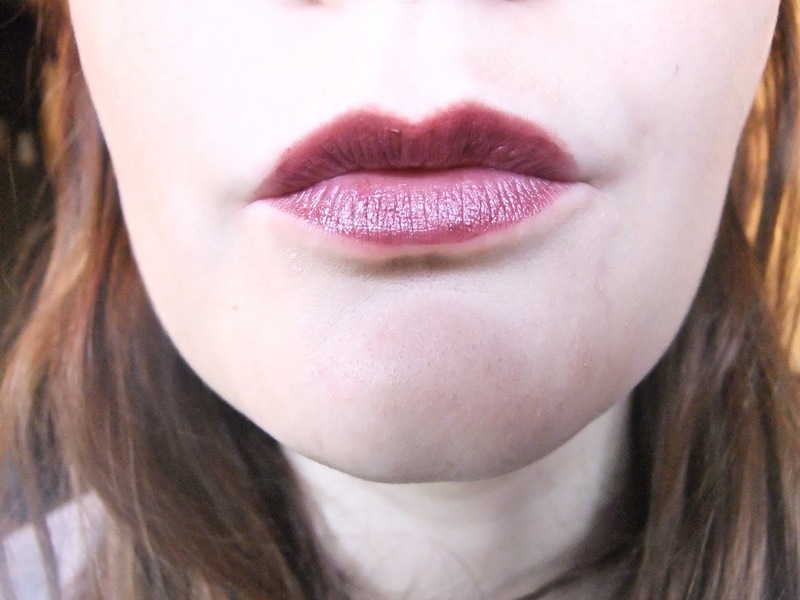 This lip lacquer works best when your lips are really moisturised and smooth. 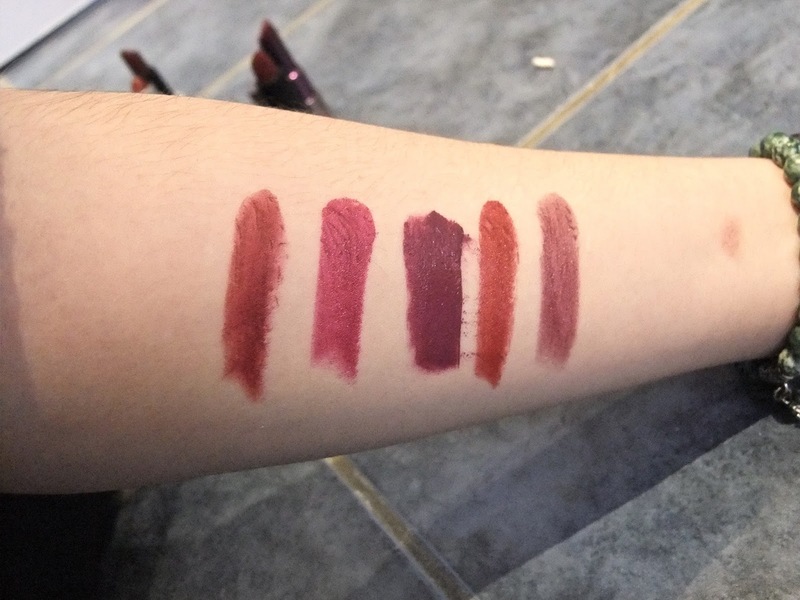 Here i have swatched each lip product so you can get a good look at what they are like. Which lipstick is your favourite for Winter?